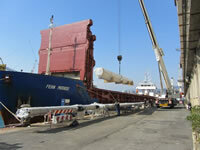 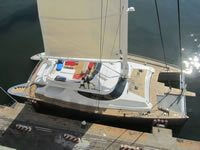 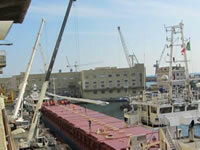 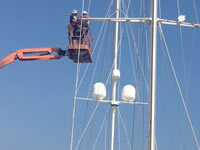 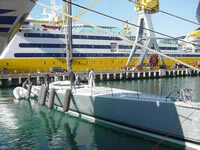 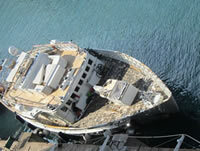 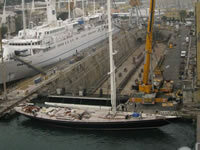 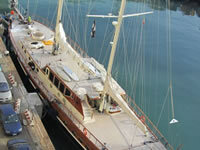 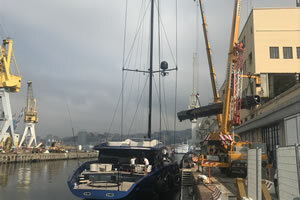 We have installed a new system for the construction of carbon masts. 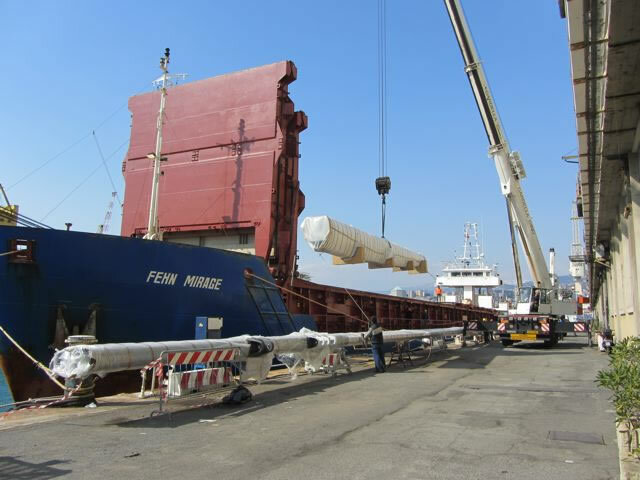 With the installation of a autoclave with an internal diameter of ø1300/2000 mm and a length of 48 metres with a maximum working pressure of 8 bar at a temperature of 150°C. 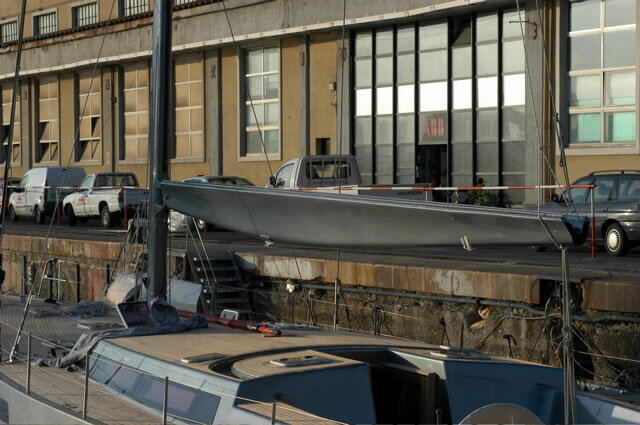 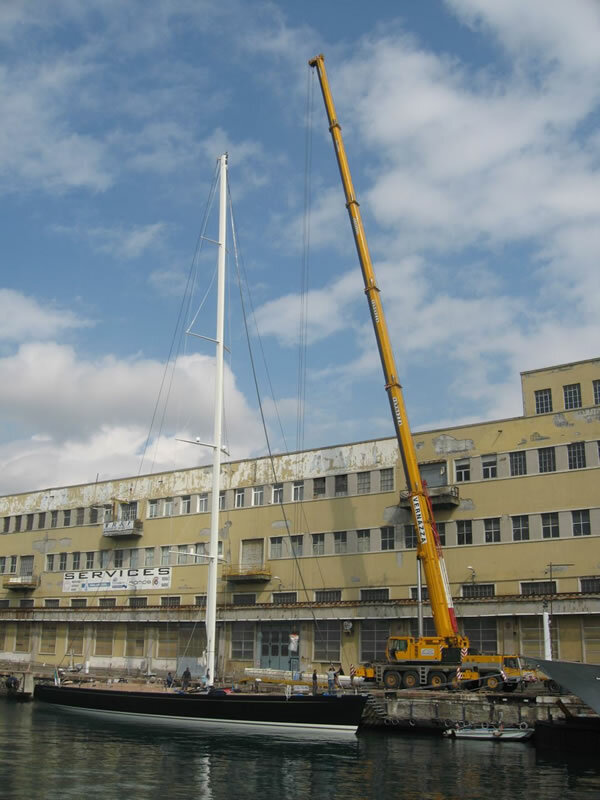 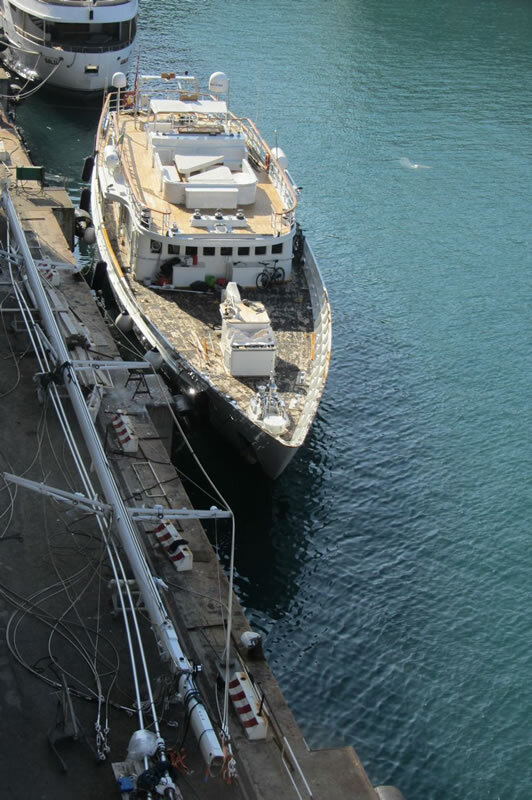 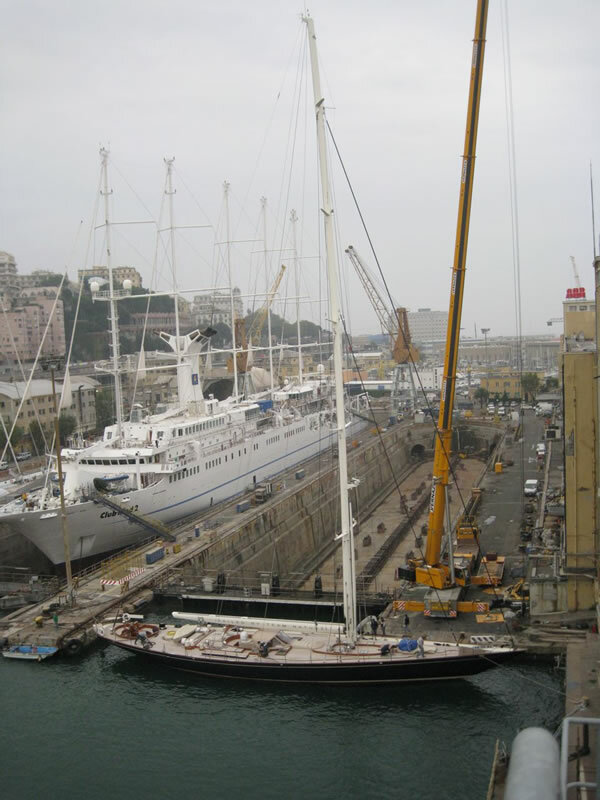 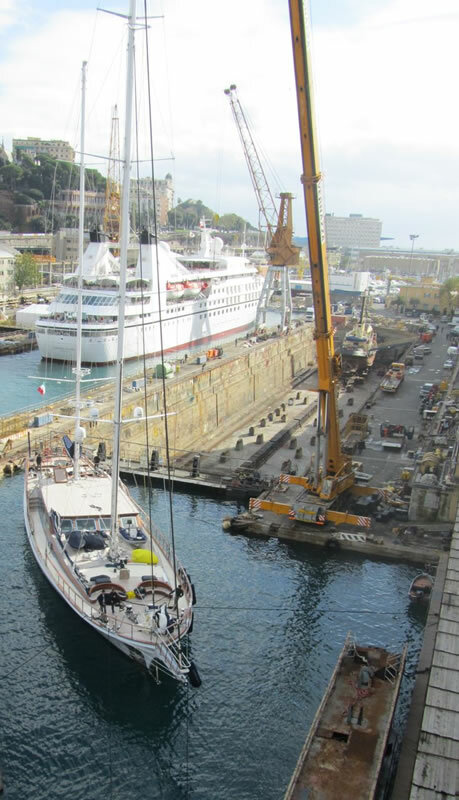 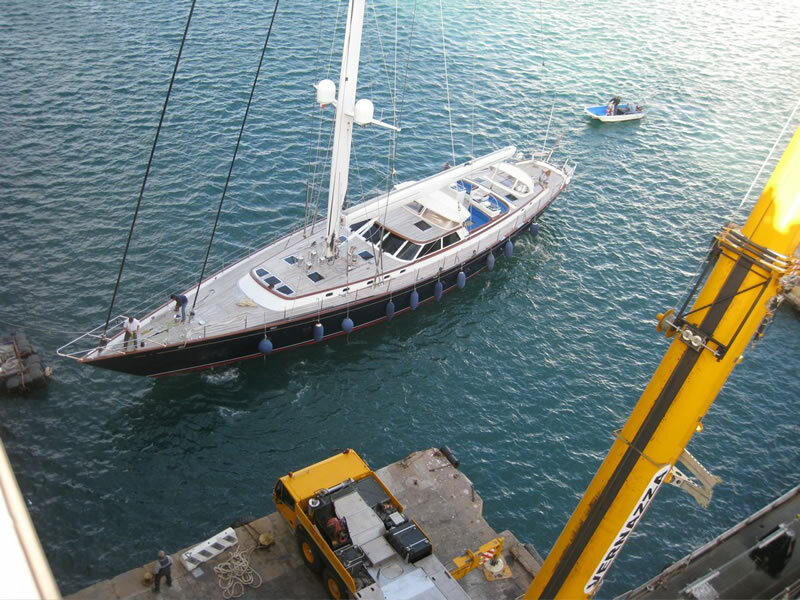 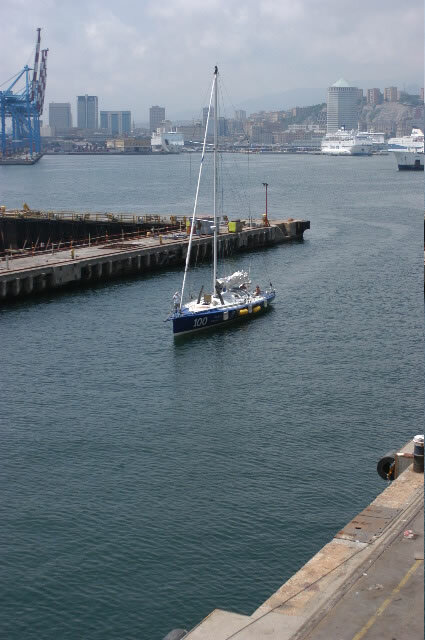 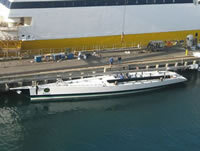 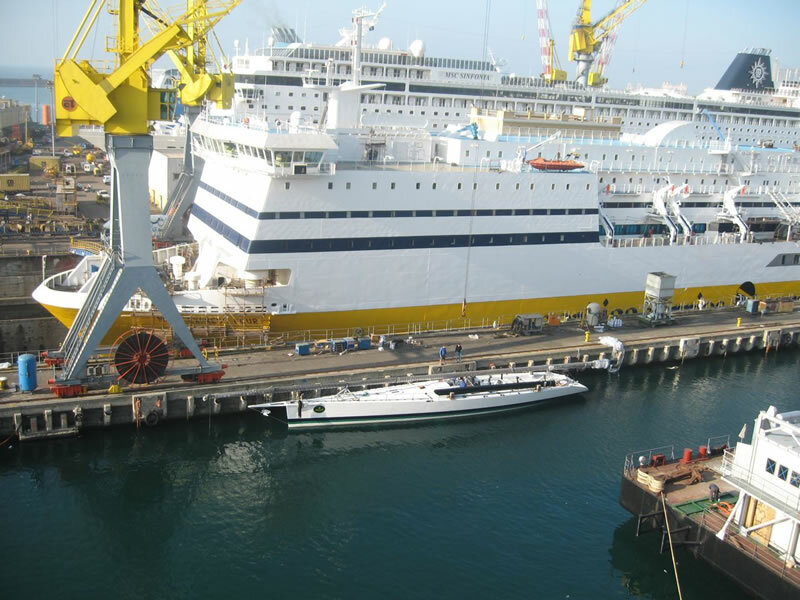 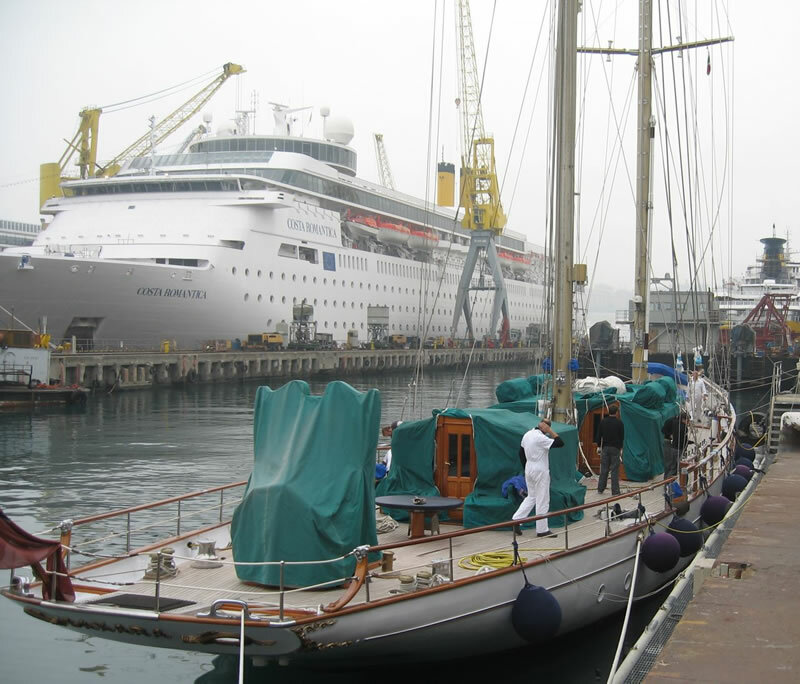 In 2008 we lengthened the autoclave to 67 metres for the construction of 2 one piece masts (both one piece in section and one piece length) for two 50 metre yachts. 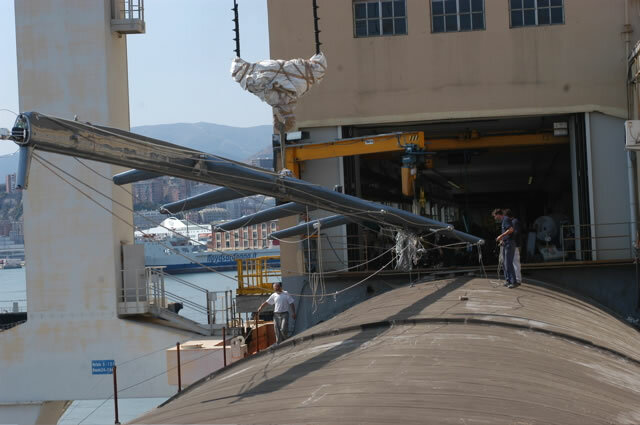 We manufacture carbon masts using male forms and pre-impregnated carbon from Gurit - Deltapreg - Cit. 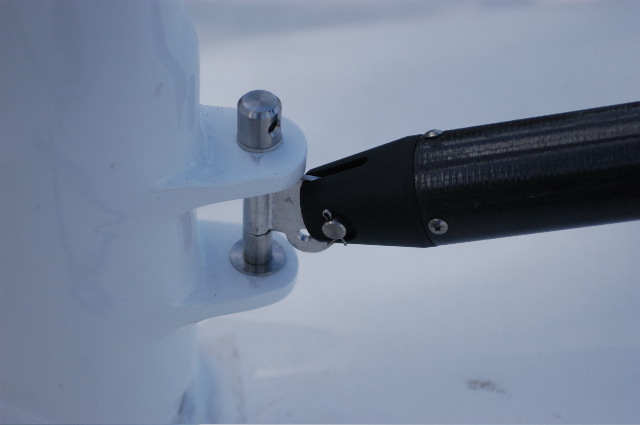 Manually wrapping carbon around the model to obtain a single-piece jointless handmade tapered mast with maximum compactness and cured at a constant and ideal heat and pressure. 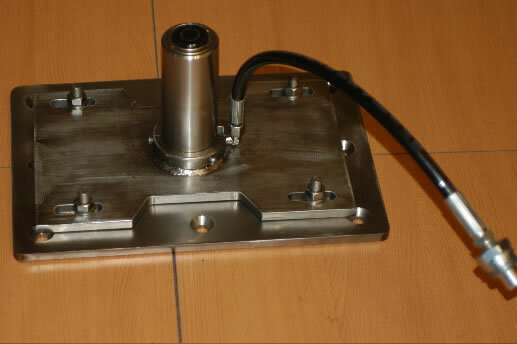 Our product is laminated on a male mould , compacted and cured in a pressure chamber at 6 bar plus the depression of the vacuum bag. 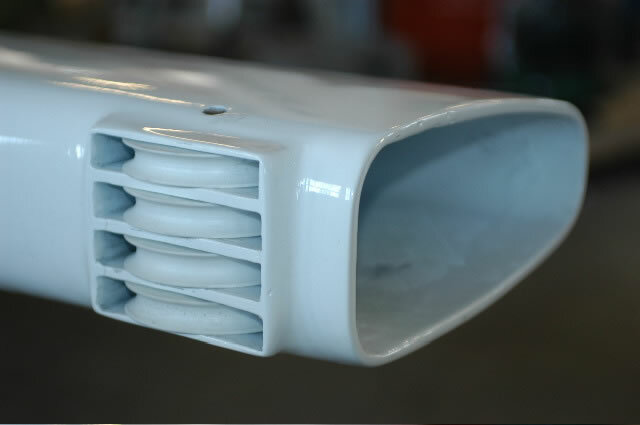 This technology is derived from the aeronautical industry and guarantees a finished product of maximum lightness and elevated mechanical characteristics which exalt the properties of carbon. Our technological challenge is to build single piece carbon masts even of large dimensions by manually wrapping the carbon around a male mould to obtain a hand-manufactured tapered monolith without joins with maximum compactness obtained from a piece worked in a heated autoclave. 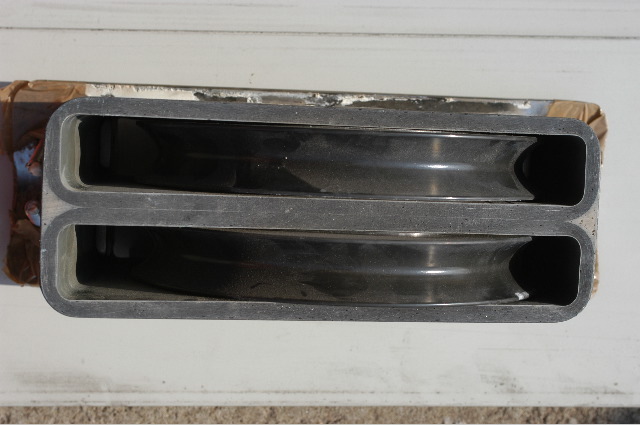 The costruction of carbon objects in a autoclave is considered superior to other types of manufacture because the laminates remain more compact and the possibility of finding air bubbles in the laminate is greatly reduced. 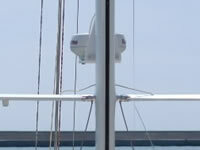 Choice of materials can also greatly improve the finished product. 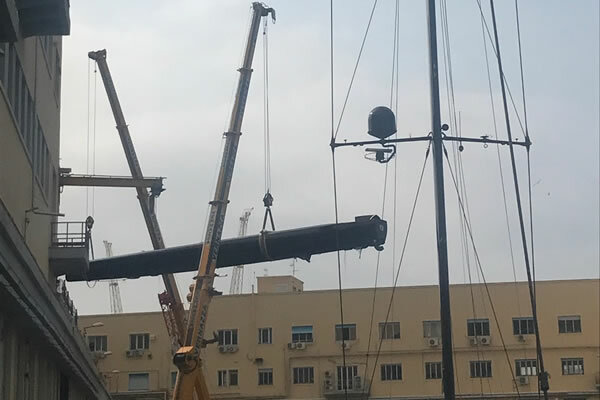 We use pre-impregnated carbon from Gurit - Deltapreg - Cit, world leader in the production of epoxy resin laminates with versatile products and excellent quality. 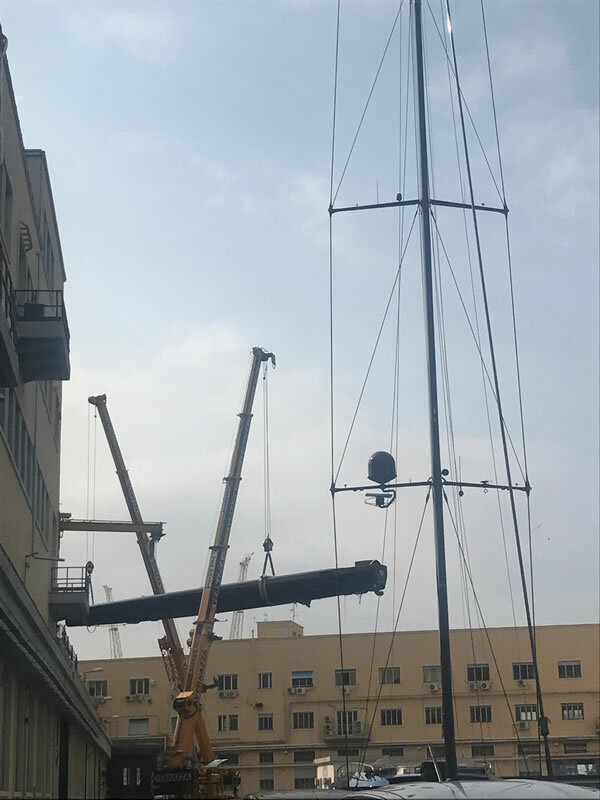 Today we can safely say that the problem of extracting the alluminium mandrel from the carbon profile of large masts (sections over 150 and weight over 6000 Kg). 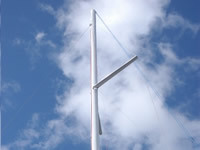 We are able to produce masts in one picece with a section of 1200x600mm and length 67m. 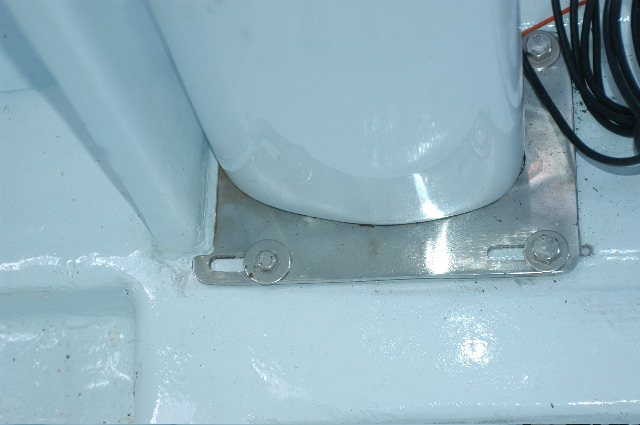 The fact of being able to obtain a mast without lateral joins guarantees longer duration because there is no chance of the delamination of joined parts under stress. 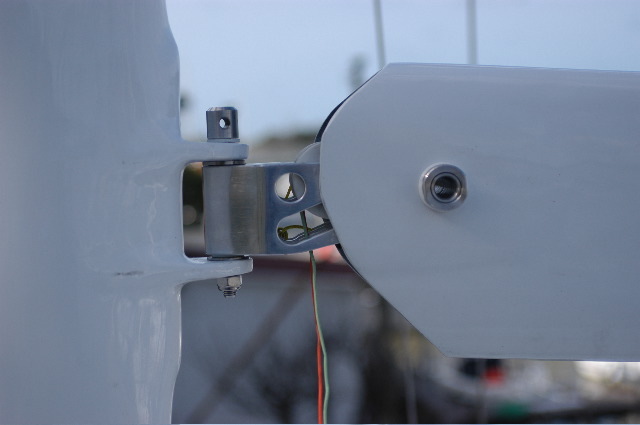 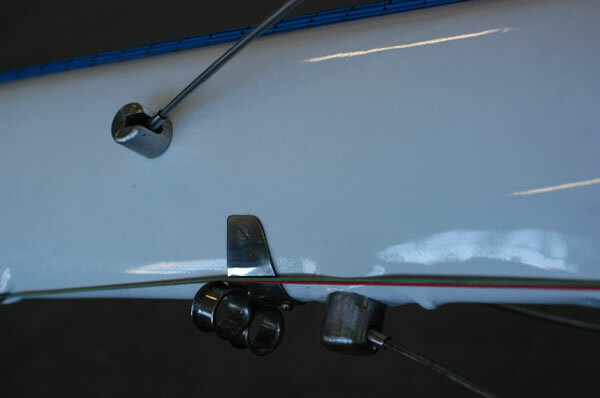 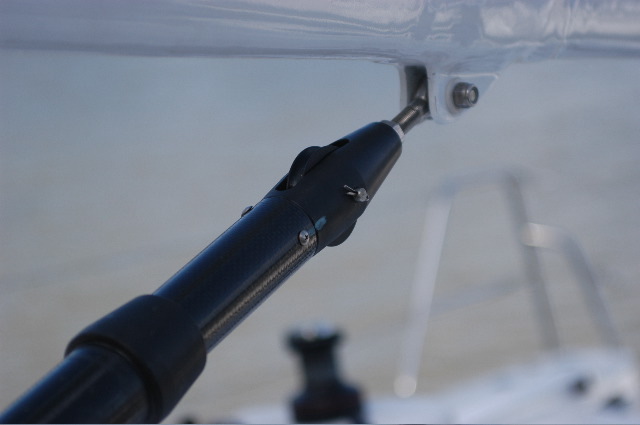 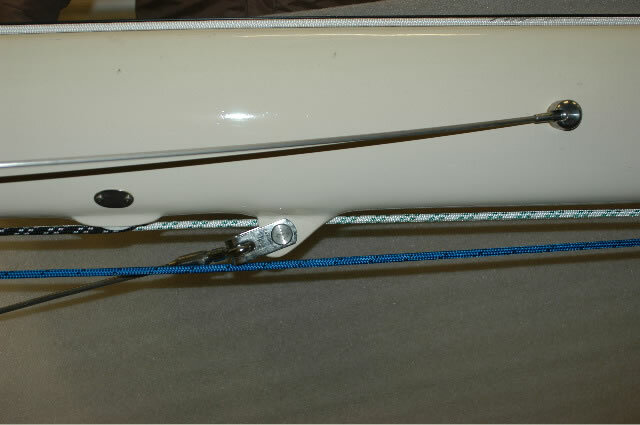 The unidirectional 0° joint is positioned on the mandrel for the whole length of the mast allowing the fibre to work homogeneously. 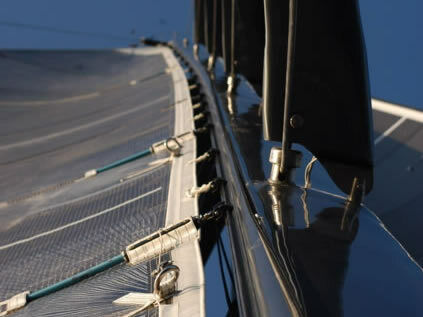 The flexing of the profile uses at most the disposition of the fibre along it's length obtaining uniform flexibility without interuptions or curve variations. 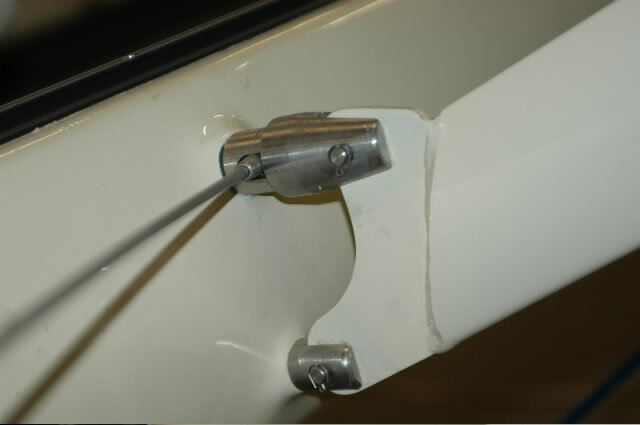 Aswell with this type of lamination we have continual control of the laminates, from the weight of the finished piece in every phase of lamination. 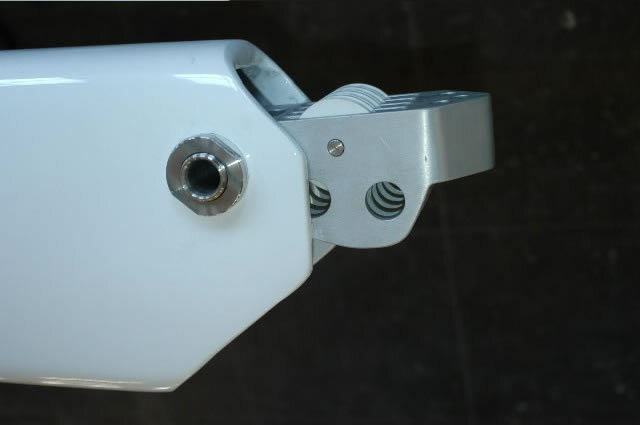 This allows us to check that the theoretical calculation respects the actual project giving with precision the desired weight. 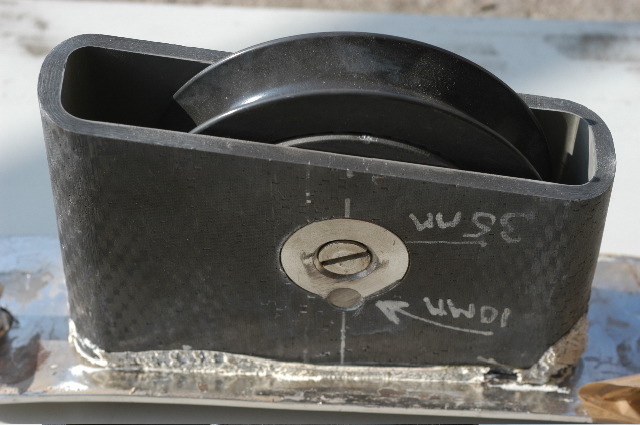 Each technological process has it's advantages and disadvantages but it is sure that the manufacture of carbon items using autoclave ovens is a first class technique difficult to surpass. 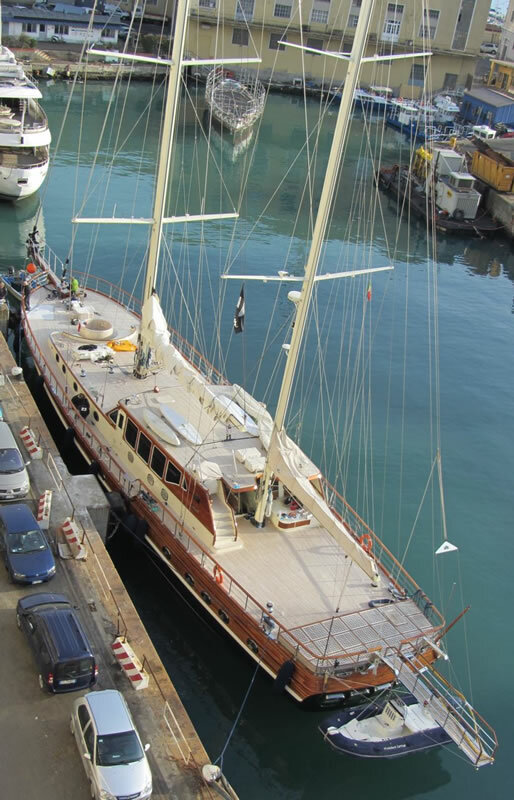 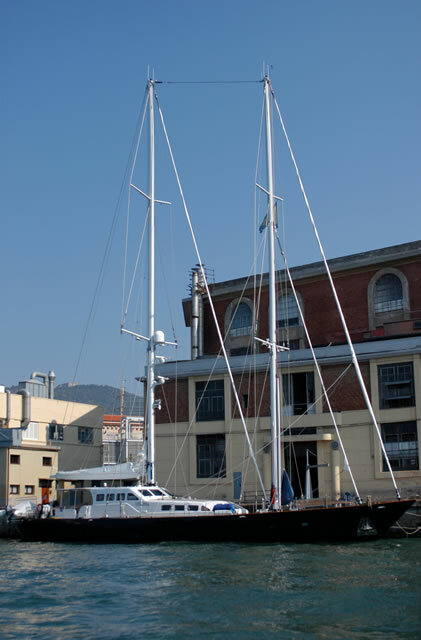 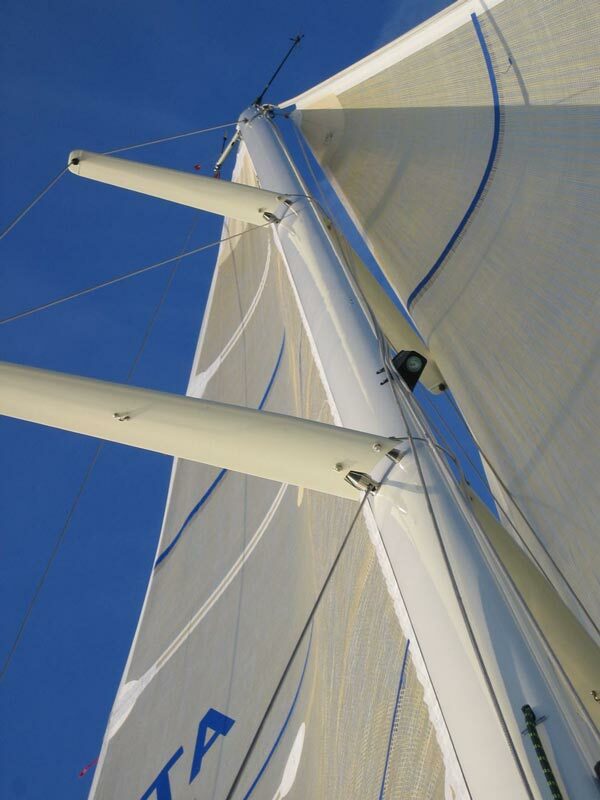 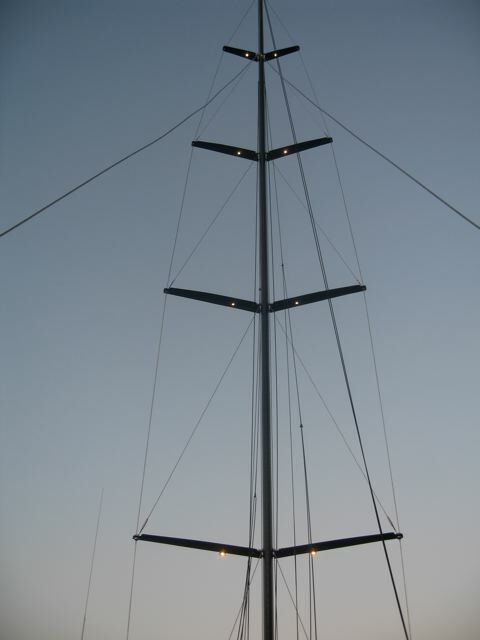 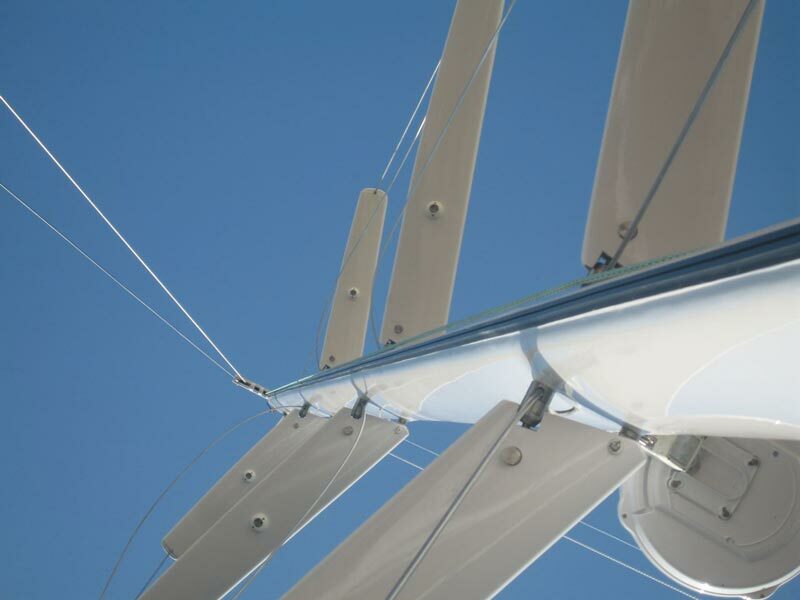 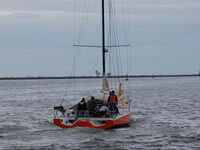 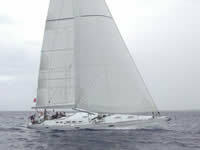 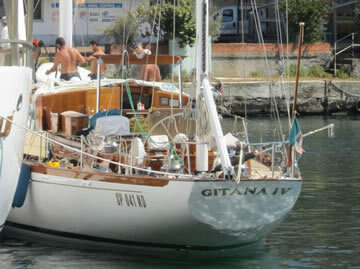 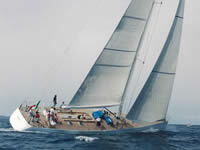 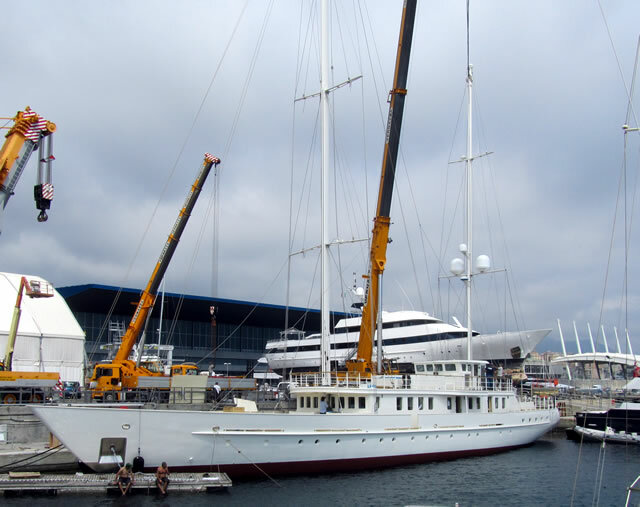 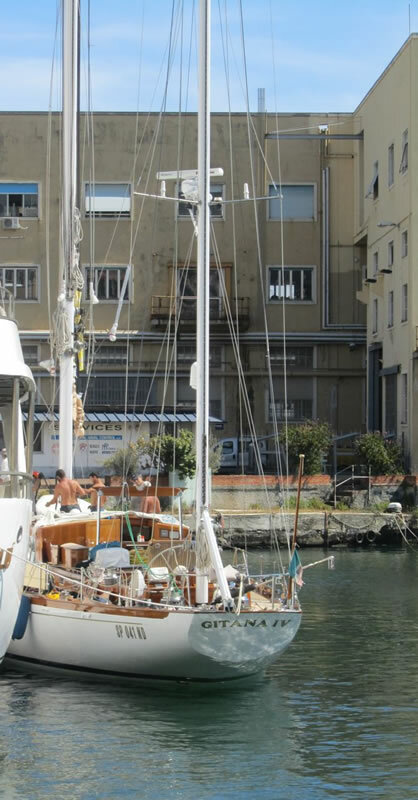 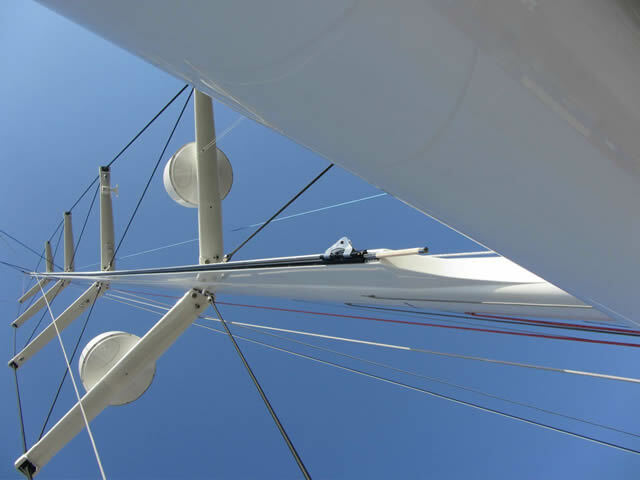 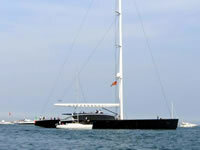 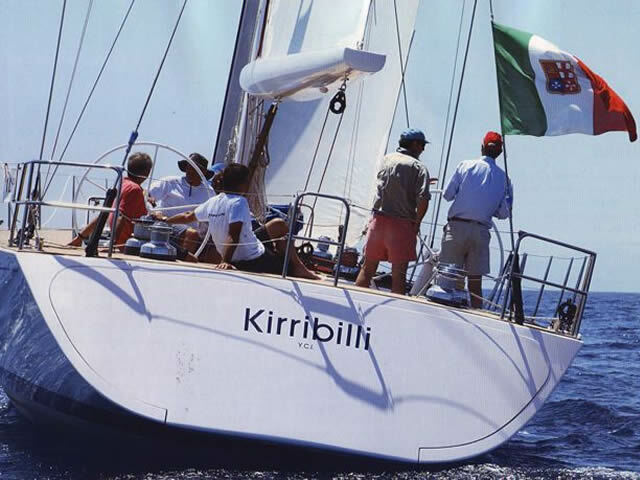 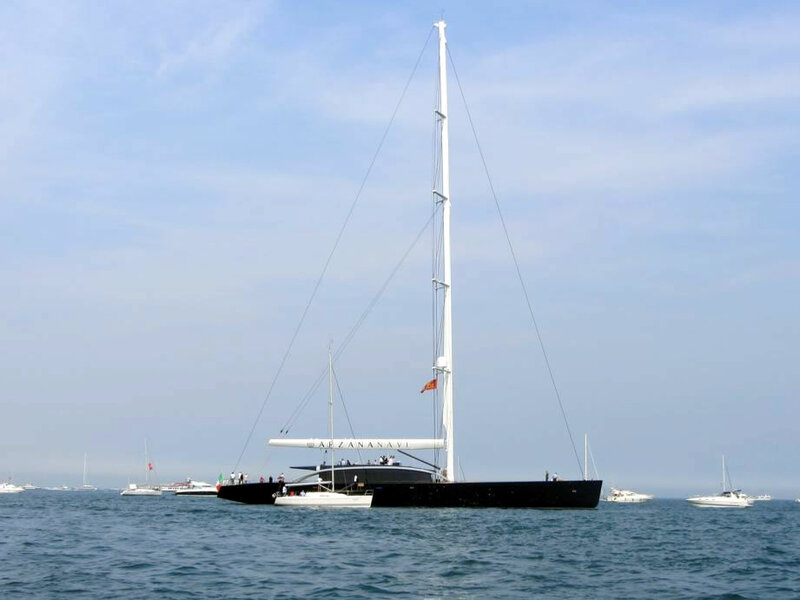 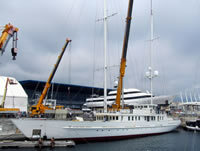 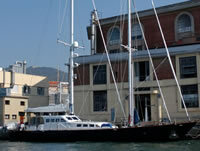 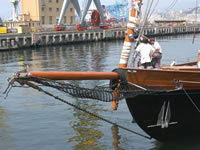 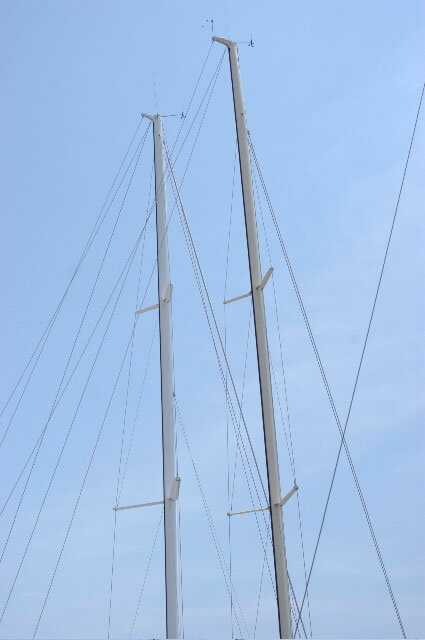 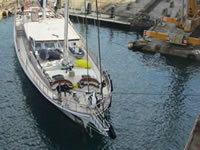 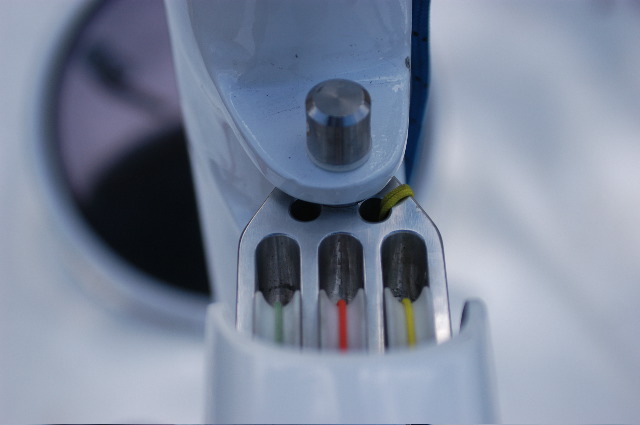 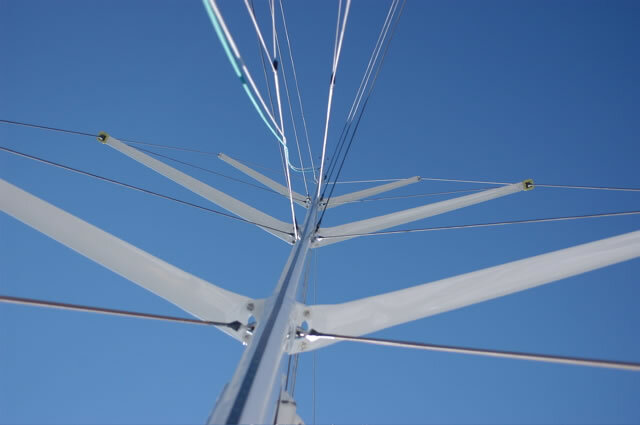 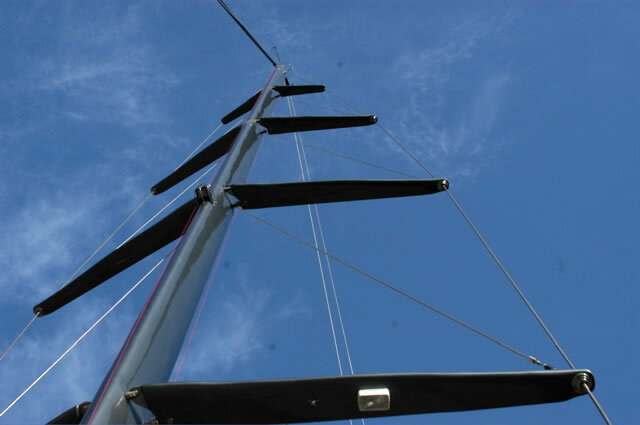 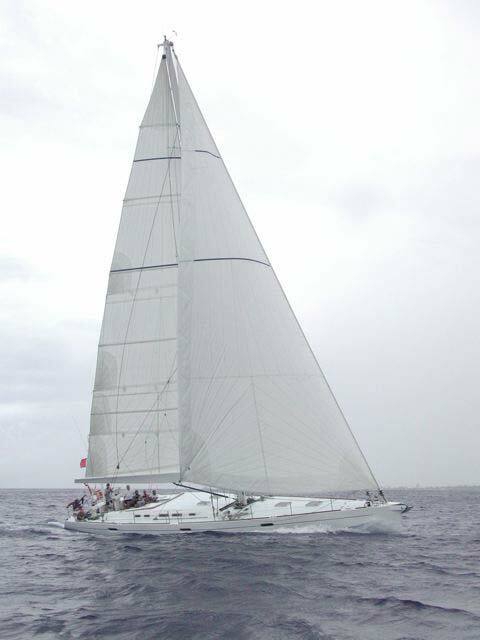 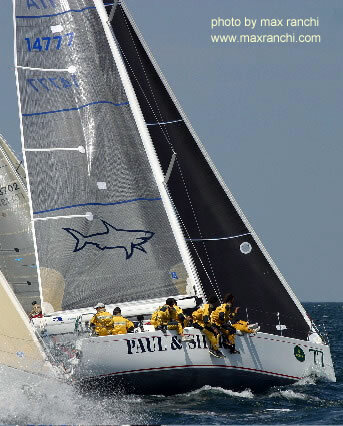 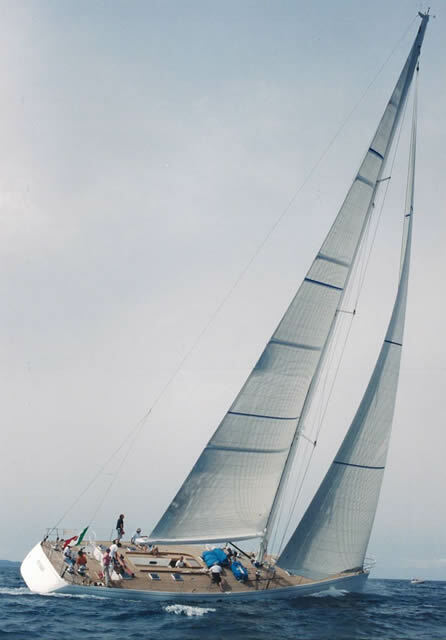 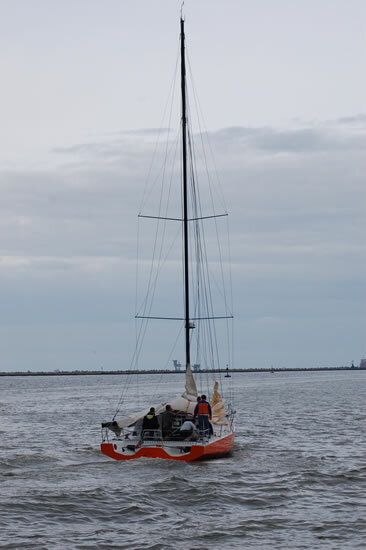 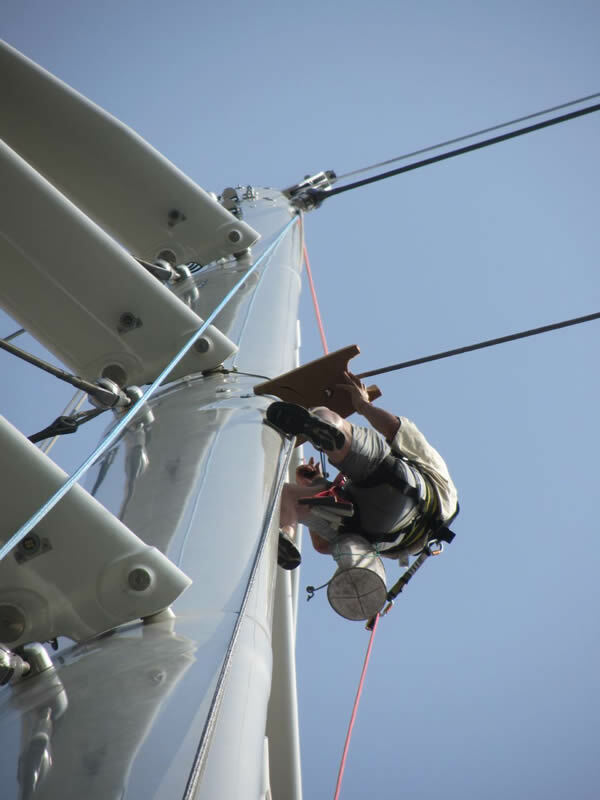 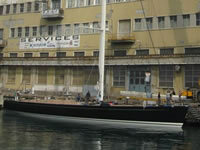 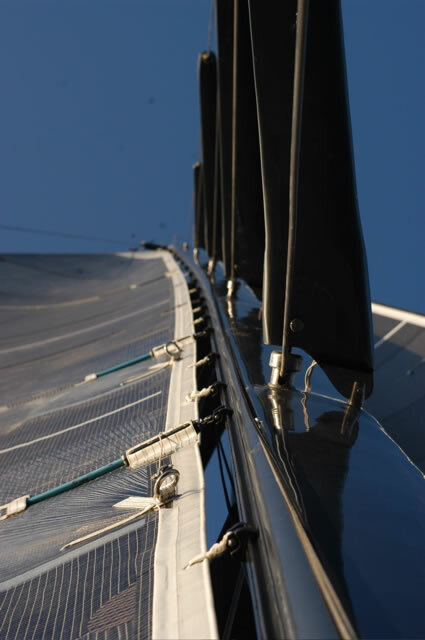 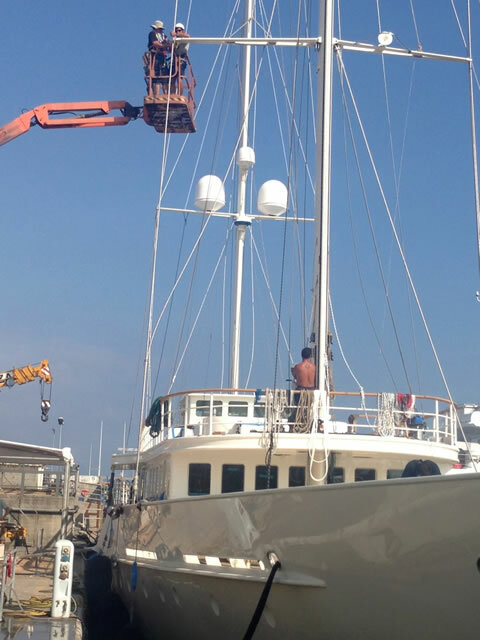 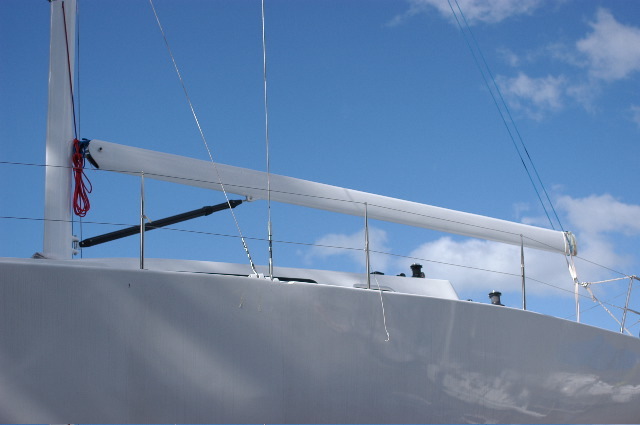 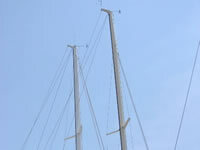 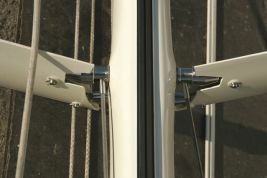 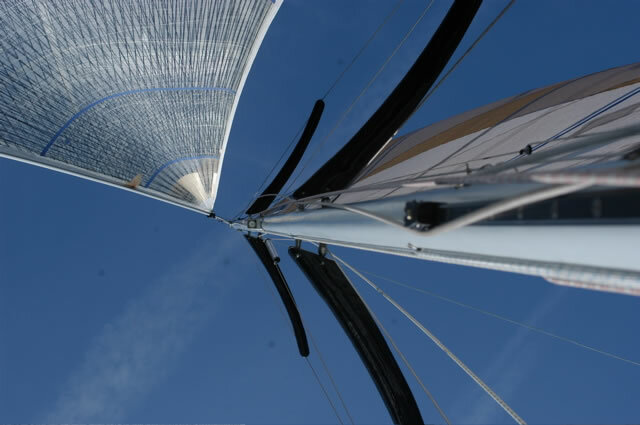 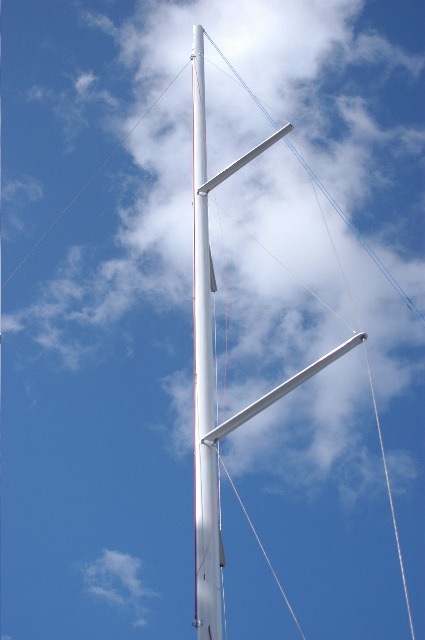 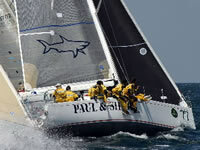 A product such as a sailing vessel's mast can be considered a tube under great strain and and the rigidity and weight of the tube are important factors. 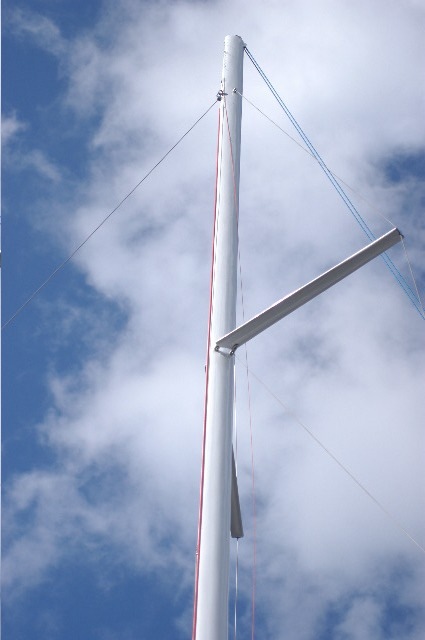 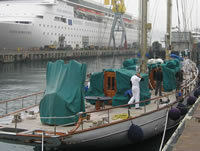 An observational but nonetheless effective test is to observe carbon masts made using the various techniques as they are lifted by a crane before being fitted. 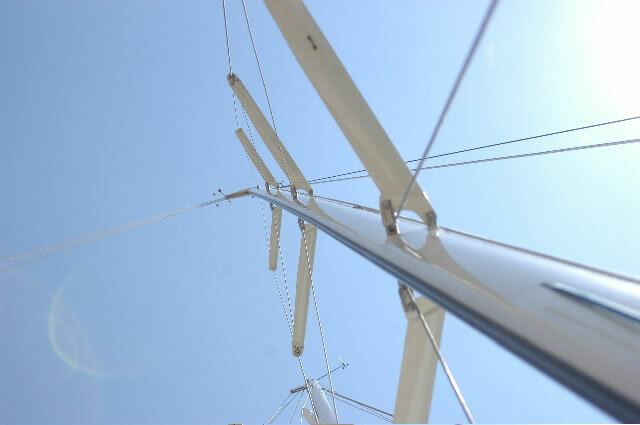 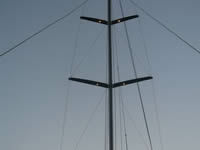 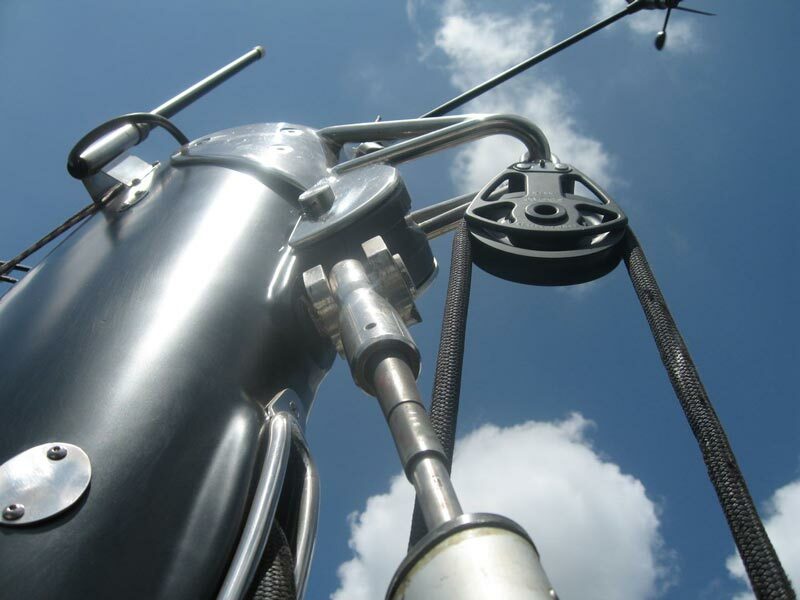 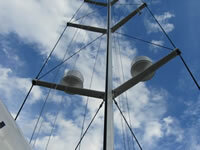 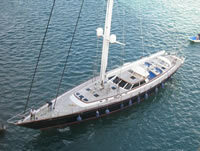 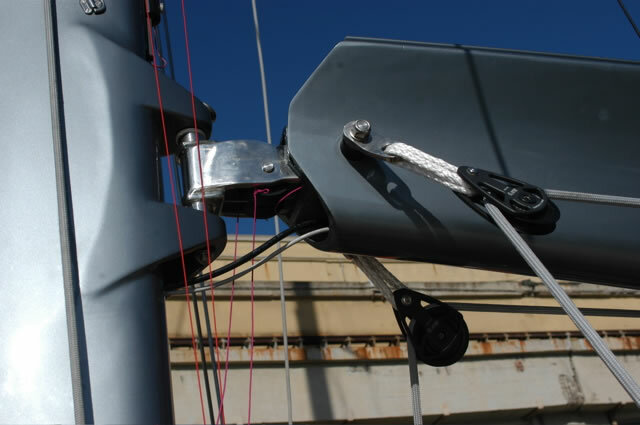 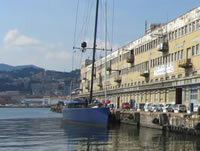 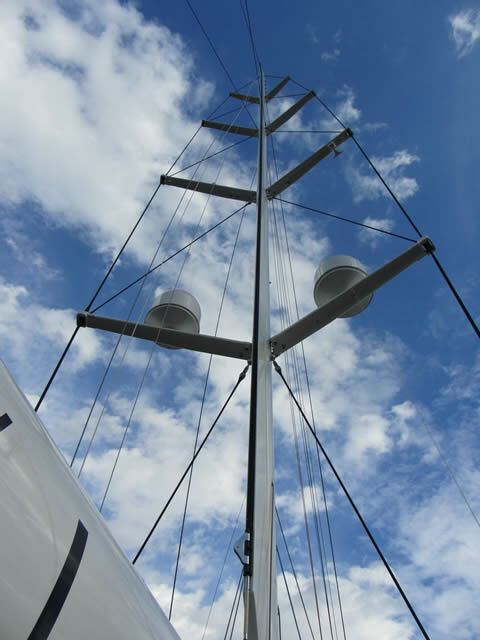 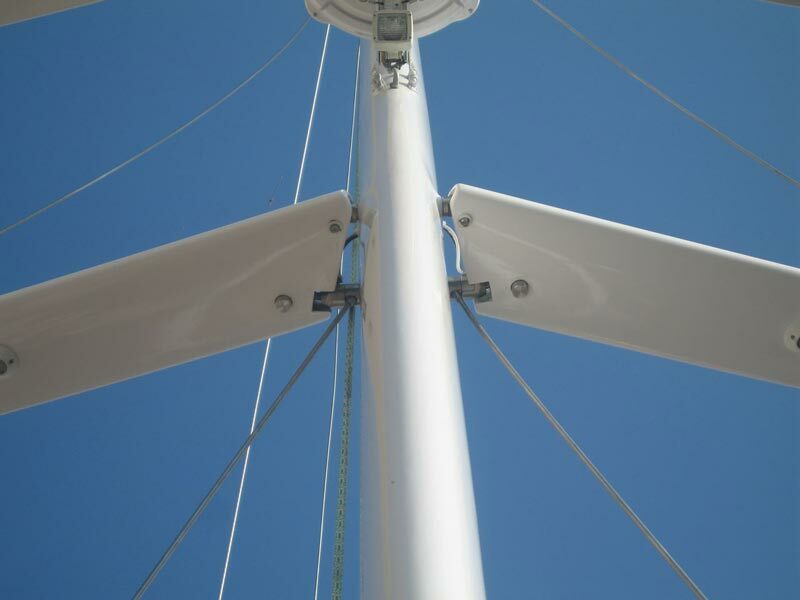 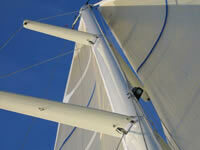 The rigidity of each type of mast can be seen with the clear advantages of masts using our system becoming obvious. 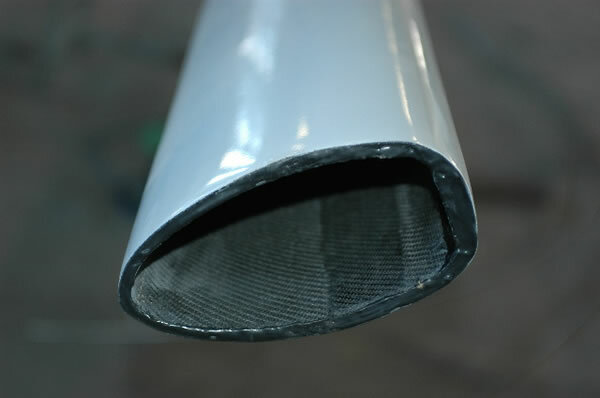 In all cases the working of a carbon piece in autoclave is considered superior compared to all other technological processes because it exhalts the compactness of the laminate and reduces the possibility of vacuums and airpockets within the laminate by applying an equal pressure accross the product. 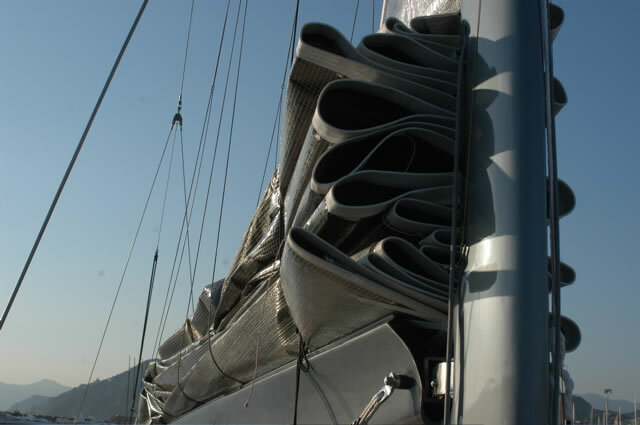 By using pre-impregnated materials we have a greater guarantee of the products stability and ease of use containing just the right percentage of resin. 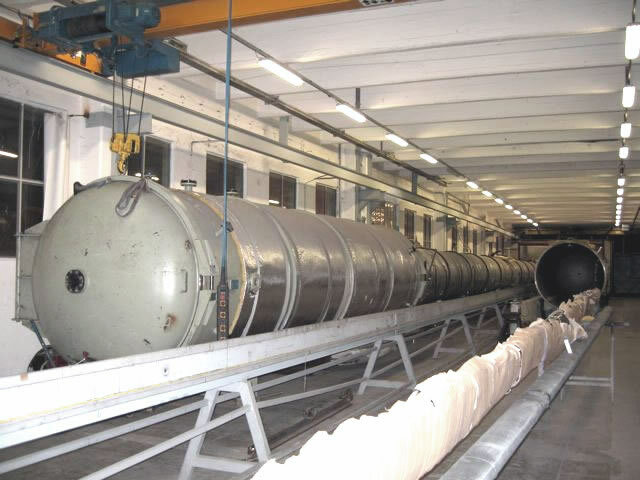 The catalisation is obtained by bringing the material to the correct temperature in the autoclave. 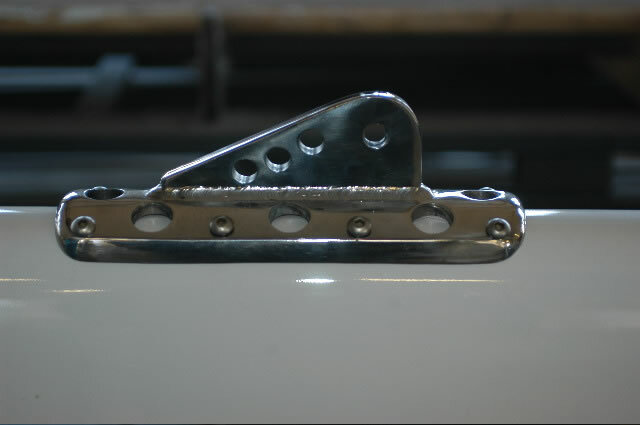 The health of the worker is also respected as there is no need to use premixed resins such as in the traditional wet manual method. 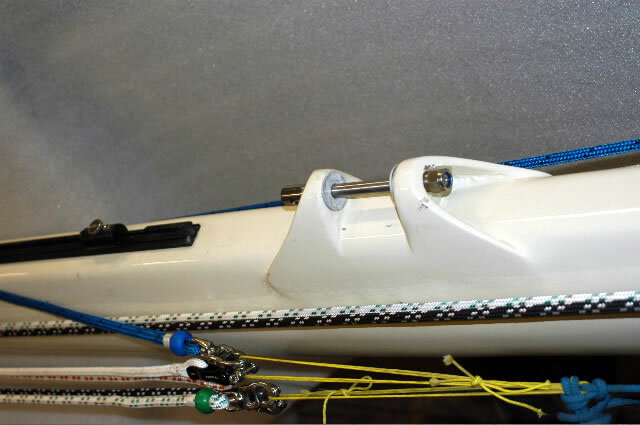 This method produces a mast which best exploits the mechanical characteristics of the carbon. 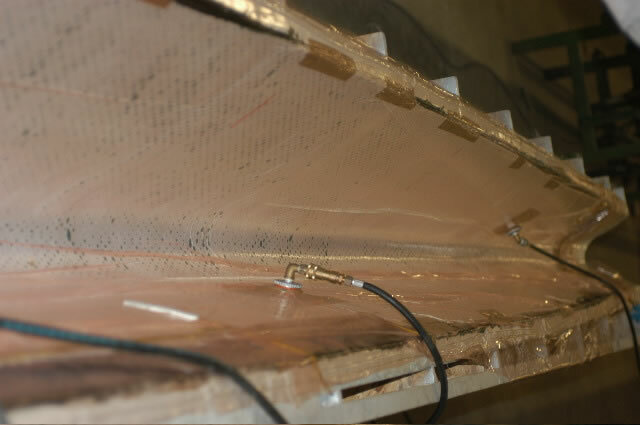 We have also installed a freezer in order to store the pre-impregnated carbon and constructed a specially made workbench for the lamination process. 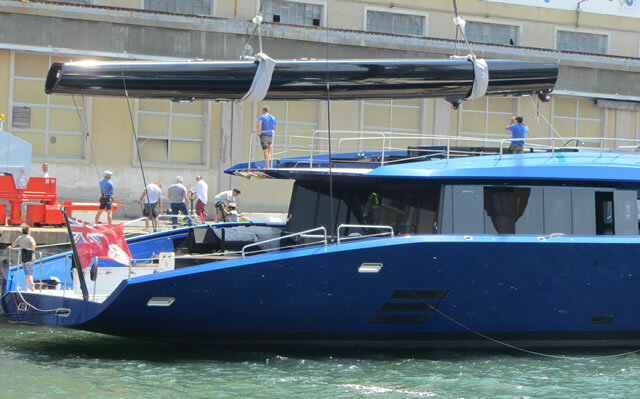 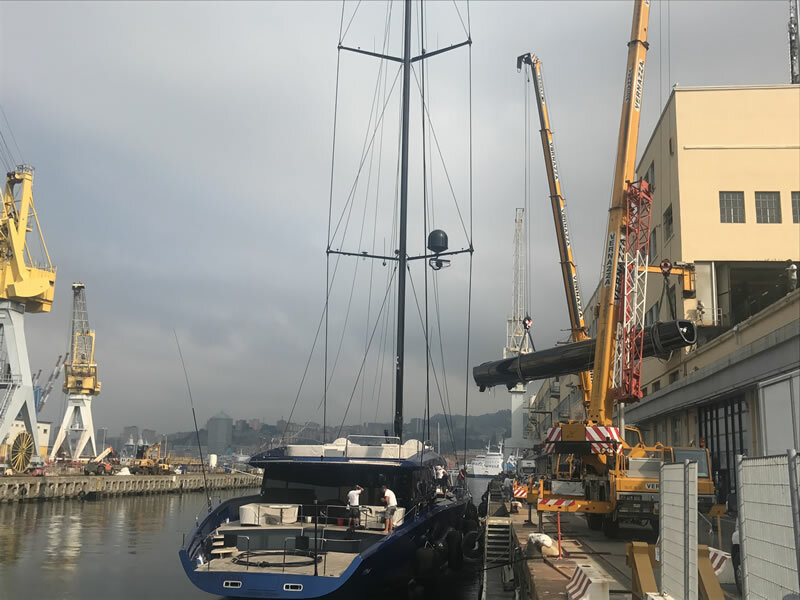 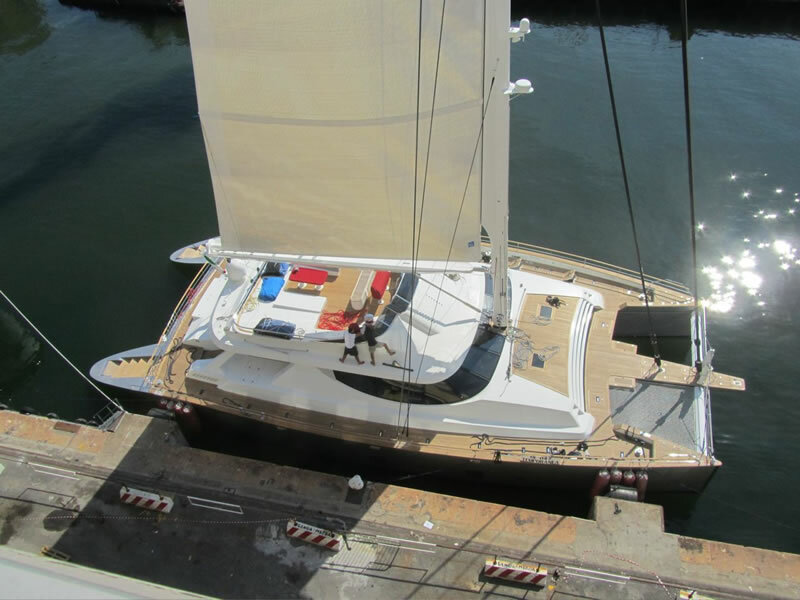 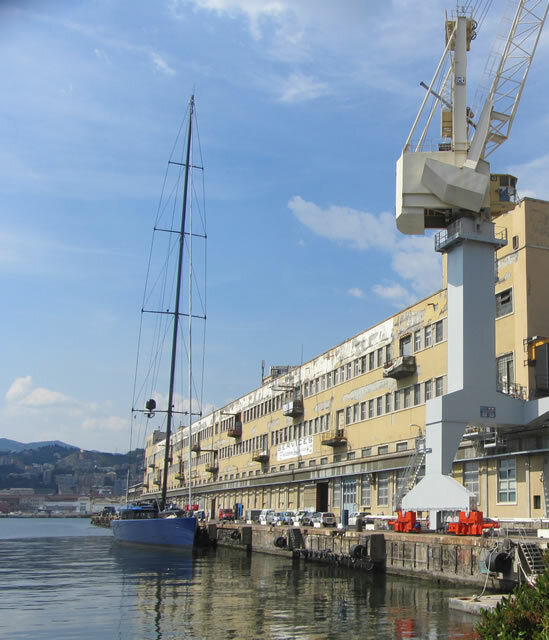 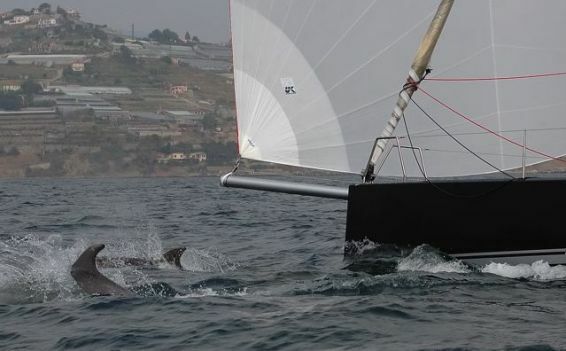 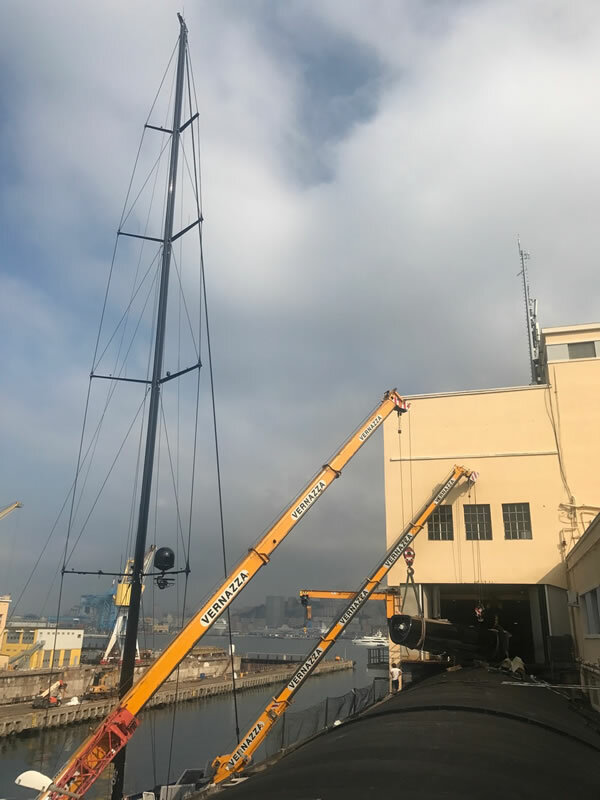 Practise has enabled the production of a mast at the limit of it's allowed load and safety factors we obtain greater stability, minimum flex, greater rigidity and less weight. 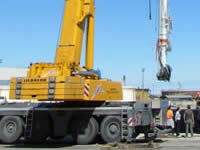 By obtaining this result we have a winning solution. 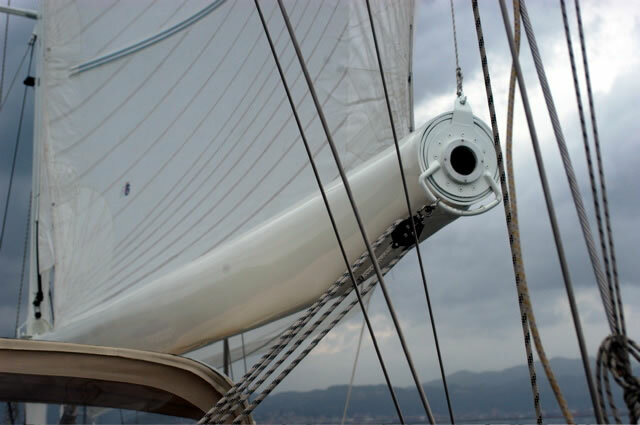 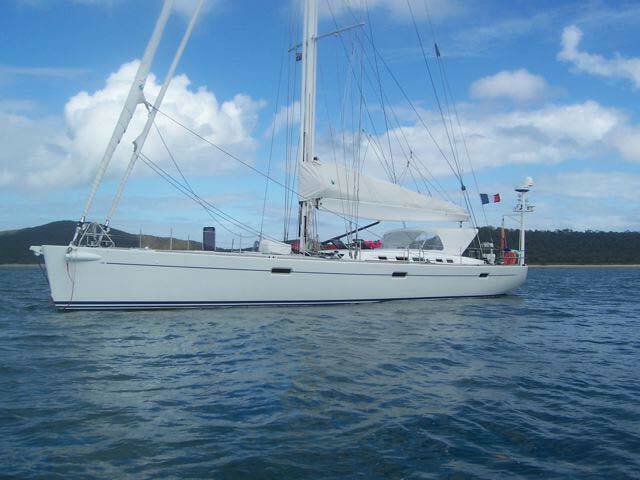 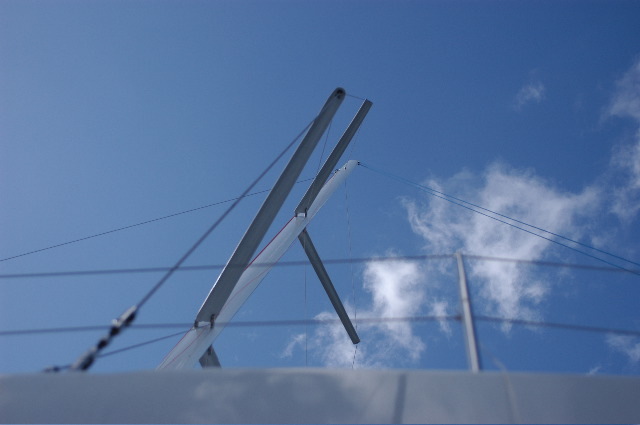 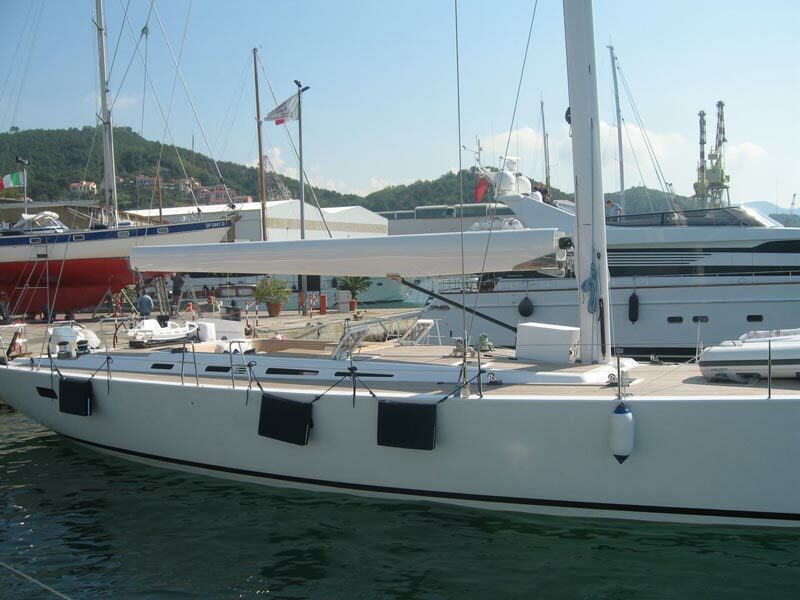 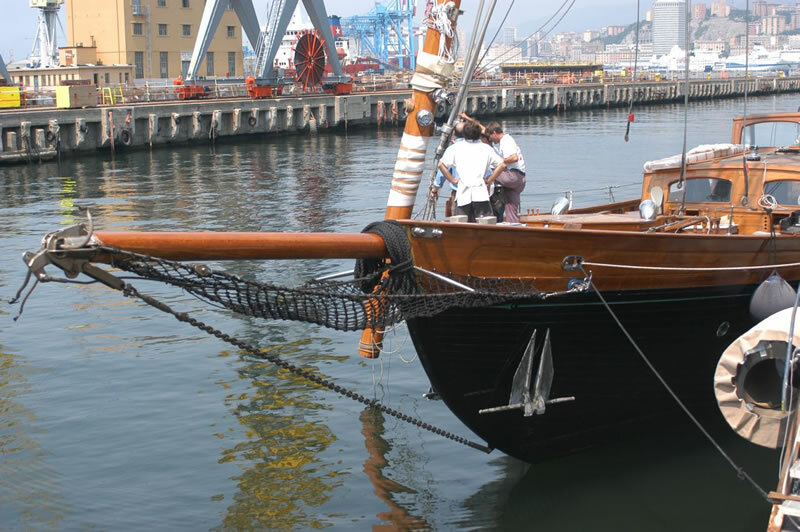 A product such as the mast of a sailing vessel can be considered a tube under high load and the rigidity factor and weight are very important values. 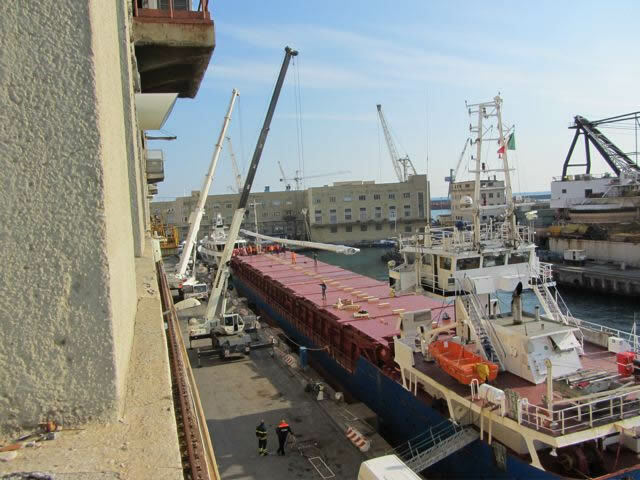 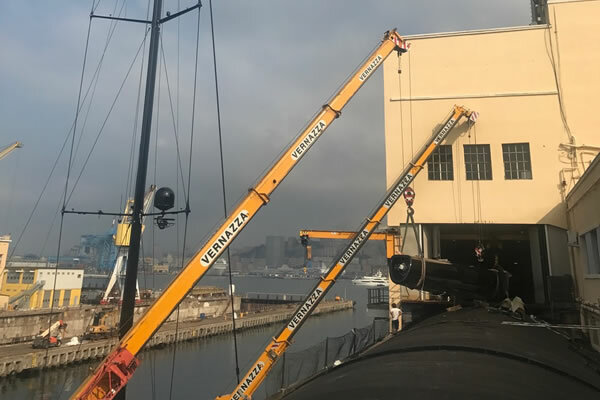 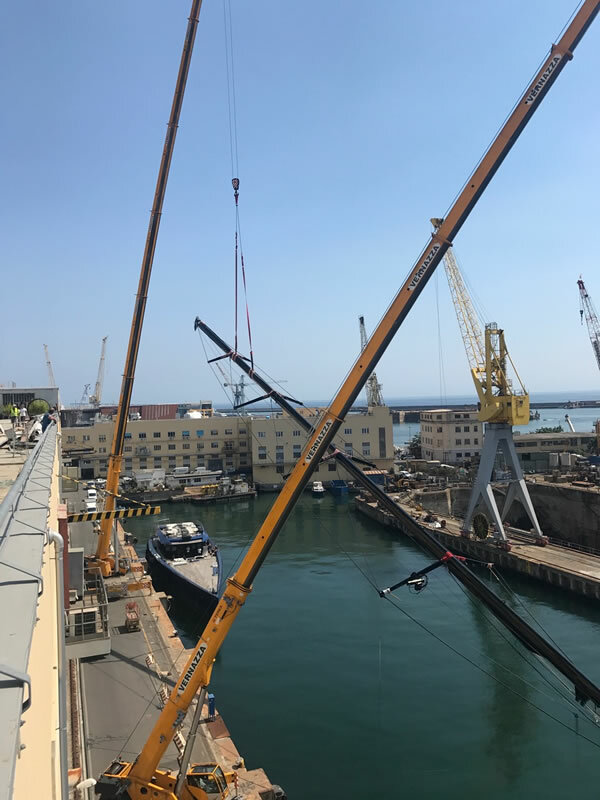 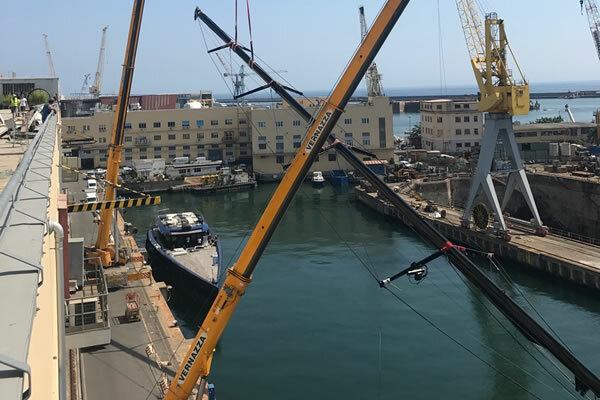 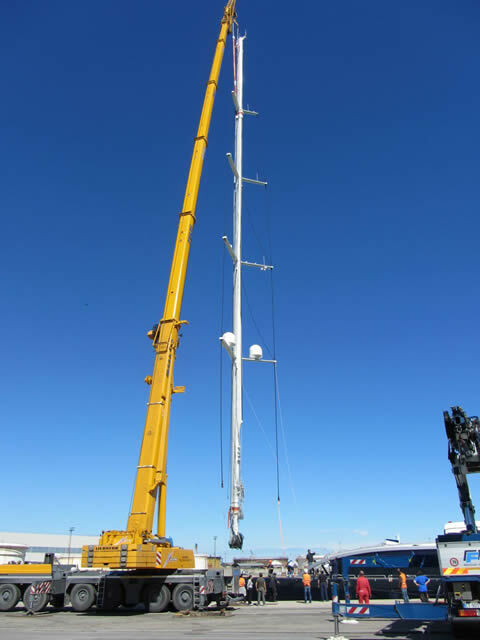 An empirical test, which is very reliable, is to observe and measure masts of different sizes when they are lifted horizontally by a crane prior to being fitted. 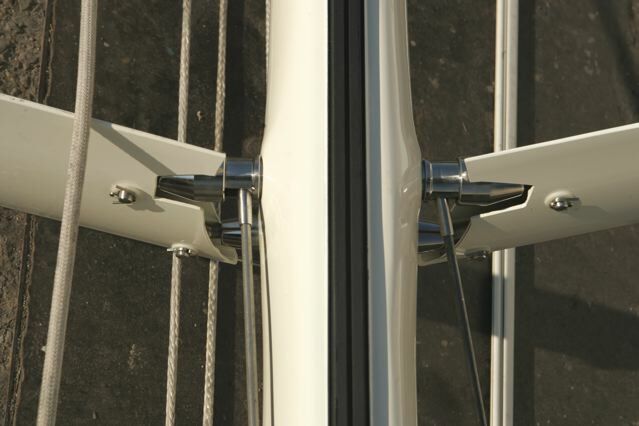 It is possible to see the difference of rigidity obtained by the different construction methods.